North of Cape Turnagain the cliffs are formed of soft grey mudstone (papa rock) deposited on the sea floor about 15 million years ago. The soft mudstone is being rapidly eroded by the sea, forming impressive cliffs and gullies. 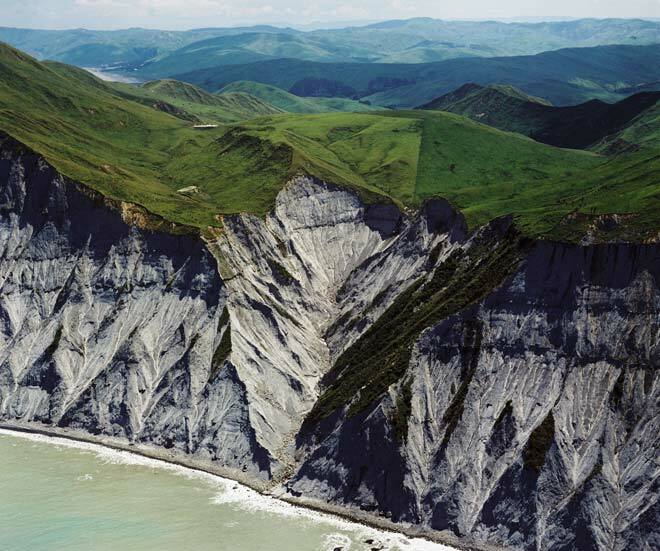 Similar soft rock underlies large areas throughout New Zealand, and is highly susceptible to erosion and landslides during heavy rainfall.